Megan Stratton Thomas claimed a new PB in Lugano. Pic: Owen Morgan. Race walker Heather Lewis smashed her 20k personal best in Switzerland on Sunday to become only the fifth British woman to break the 96-minute barrier. The Pembrokeshire Harrier finished fourth at the Lugano Trophy International Race Walk Grand Prix in a time of 95:15. 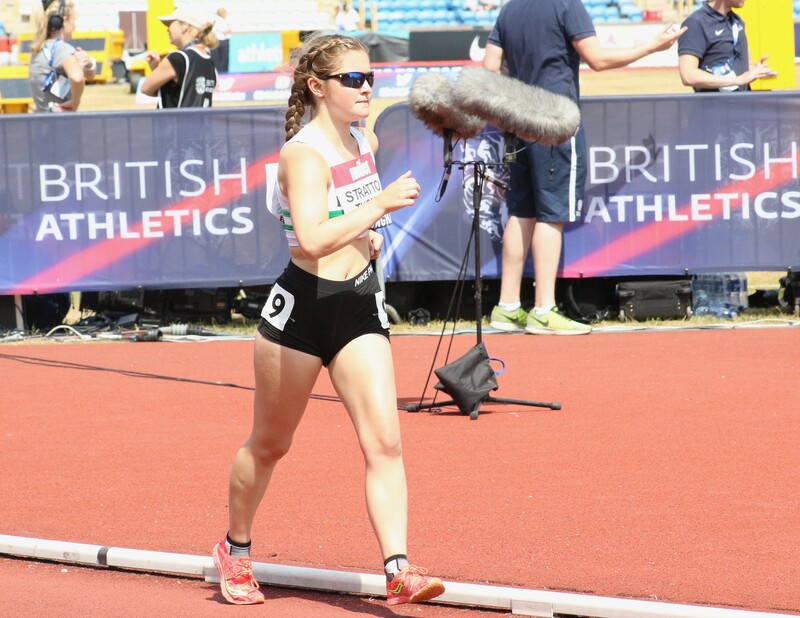 The time was a minute faster than the PB she set when finishing sixth at the same event this time last year and comfortably inside the British Athletics qualifying time of 1:39.00 for the European Race Walking Cup in May. The high class Lugano event, which is the traditional European race walking season opener, was won by Italy’s Eleonora Giorgi, ahead of European Championship fourth-placed athlete Brigita Virbalyte-Dimsiene, of Lithuania, and the Euro silver medallist Anzeka Drahotova. Lewis, who took part in last year’s Commonwealth Games and European Championships, has been in excellent form so far this year having already won the British Indoor Championships 5k title in Birmingham in February. Earlier this month she won the Molly Barnet Open at Coventry, in a personal best 10k time of 46:25. Also competing in Lugano was Megan Stratton Thomas, who took part in the Under-20 10km race. The young Swansea Harrier, who paid her own way to compete at this level for the first time, finished sixth in a new PB of 58:35.